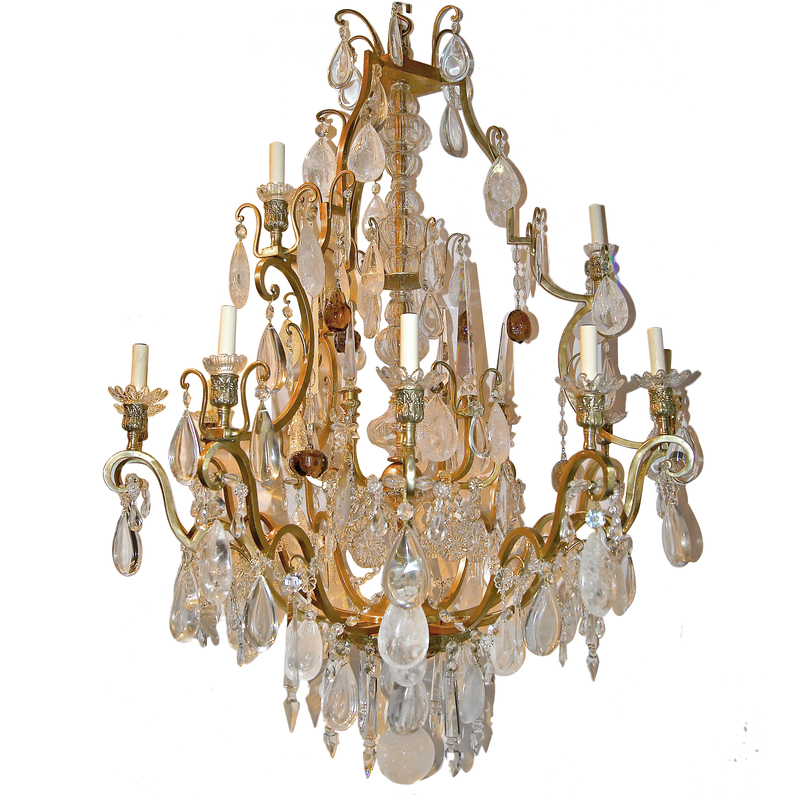 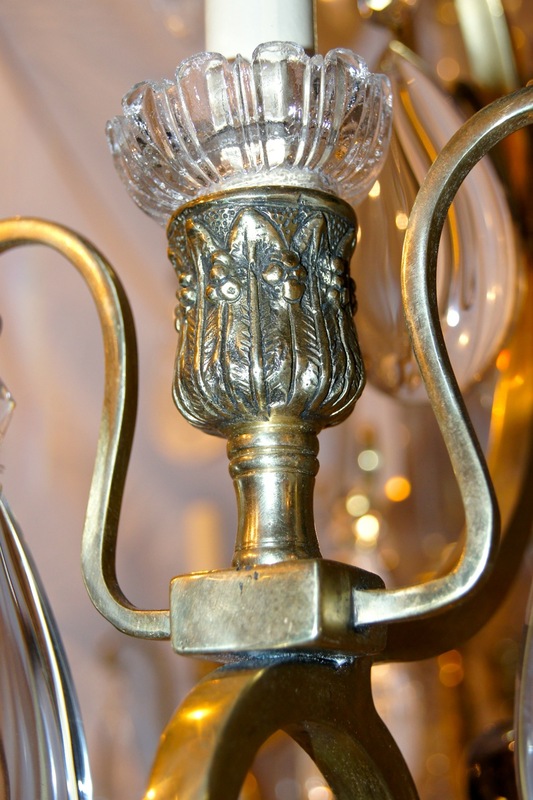 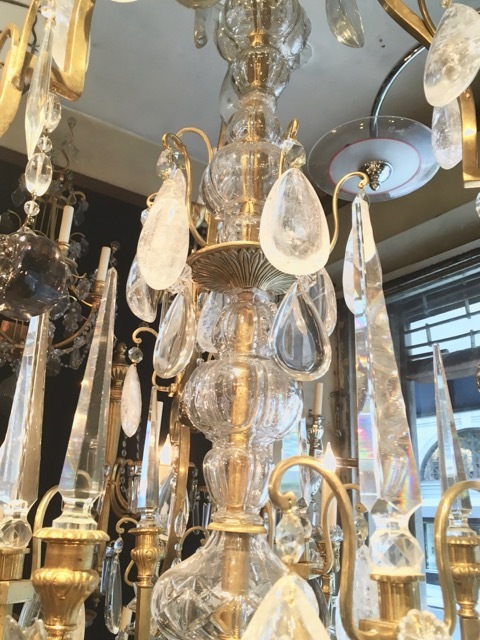 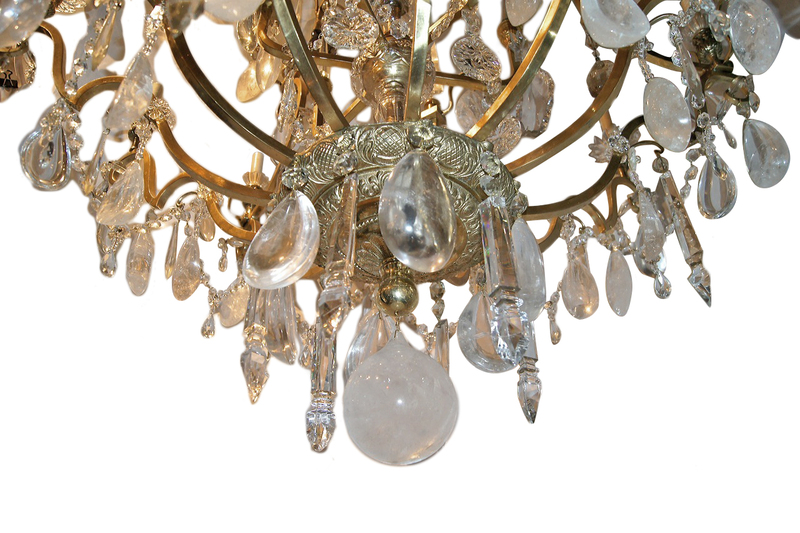 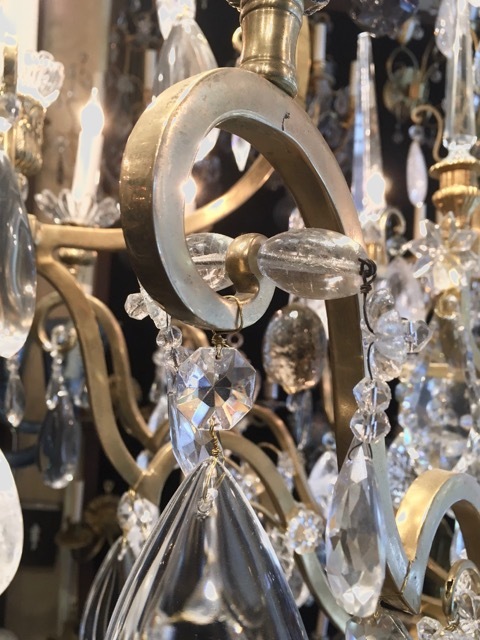 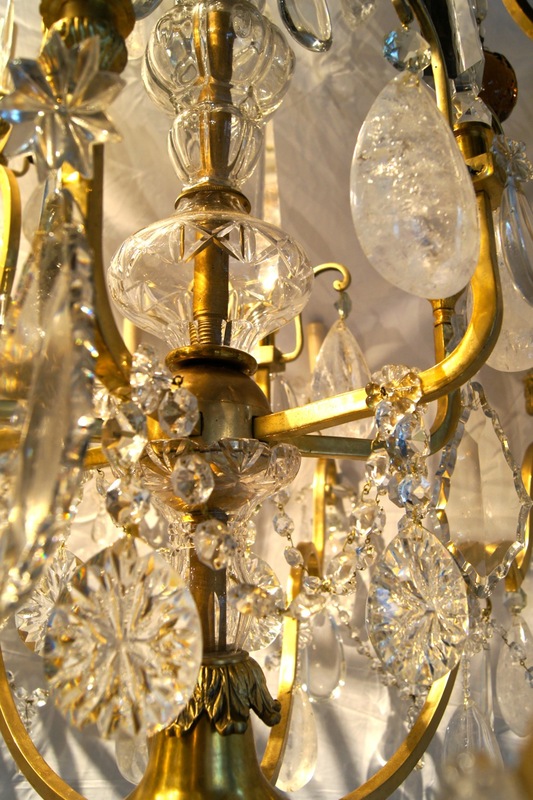 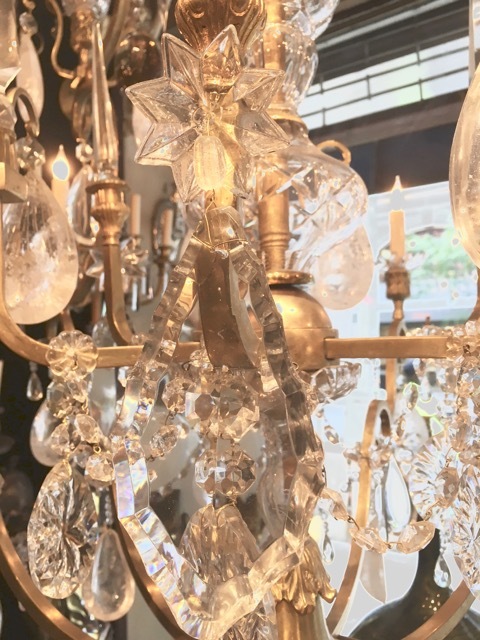 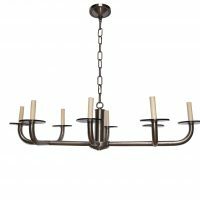 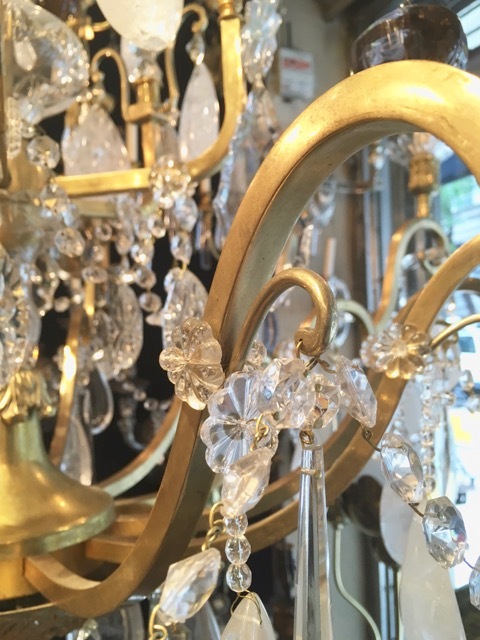 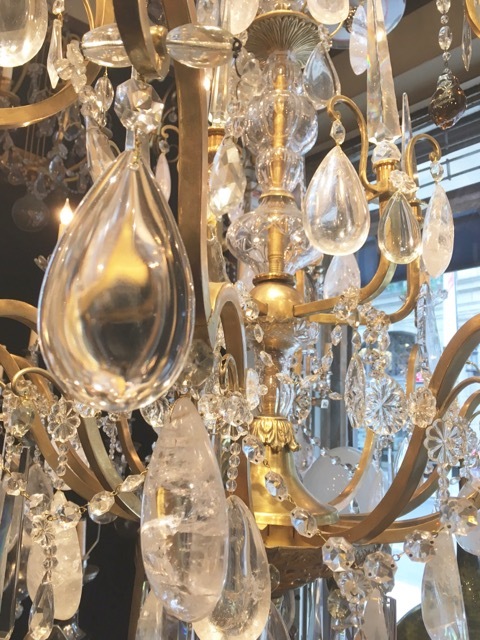 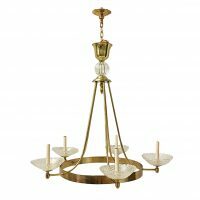 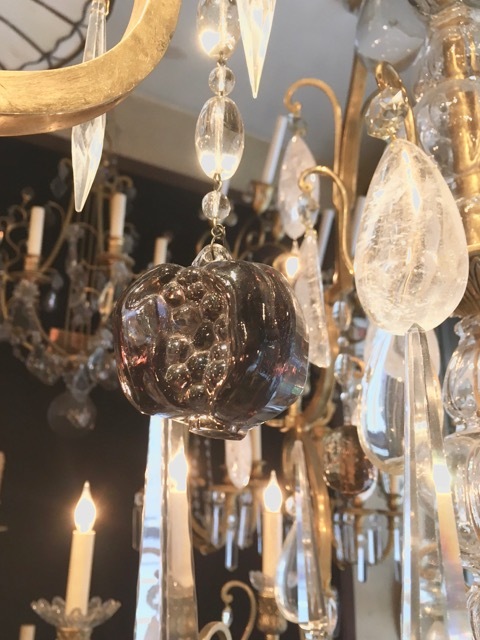 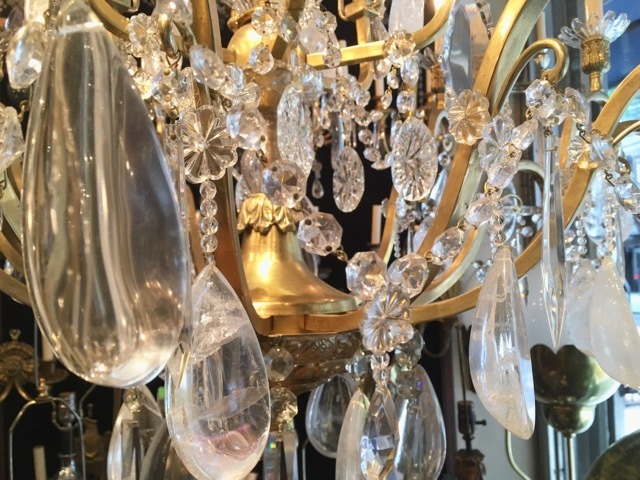 A large French neo-classic style rock crystal chandelier with 15 lights. 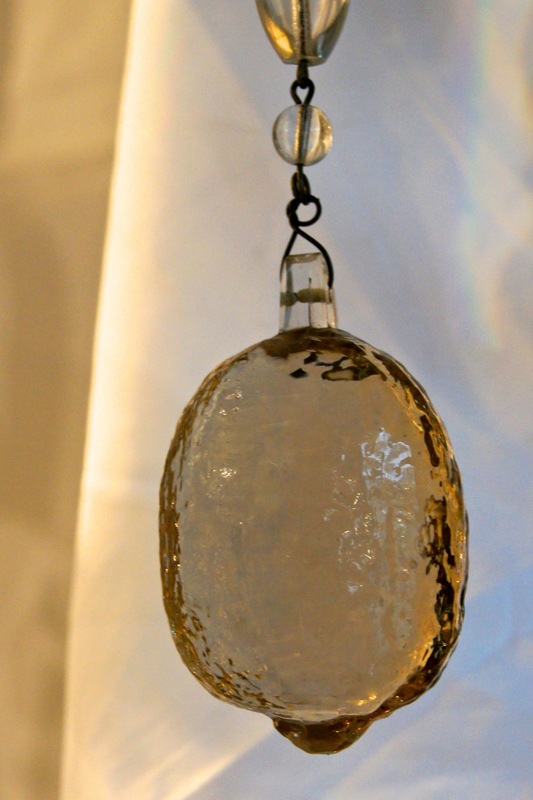 The body made of patinated bronze and with rock crystal and crystal pendants. 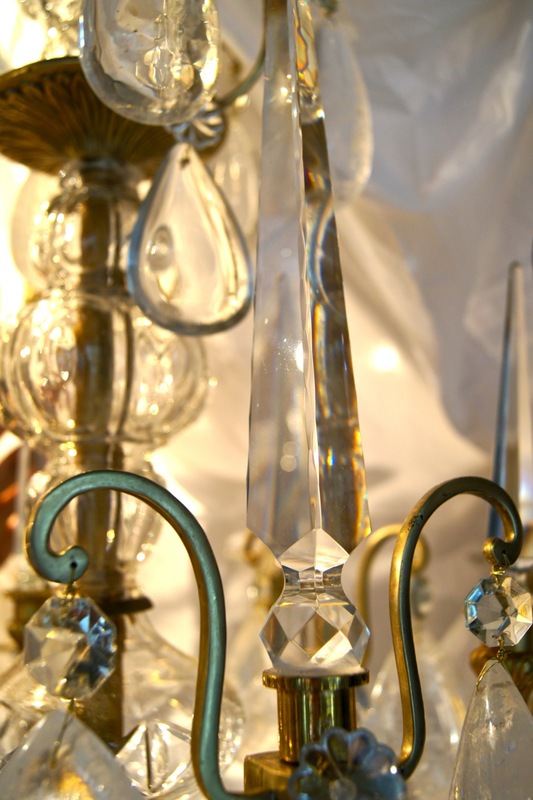 Garnished with crystal spears.